John Azevedo, a fourth generation Sonoma County rancher who is the director of grower relations at Jackson Family Wines based in Santa Rosa, is the new president of Sonoma County Farm Bureau, the county’s oldest, largest and most influential agricultural organization. Azevedo, 37, succeeds Tito Sasaki, a Sonoma Valley grape grower, as president of Farm Bureau, a non-profit, grassroots organization that has represented the interests of the county’s farmers and ranchers for nearly 100 years. Sasaki will continue as a director on the Farm Bureau board. 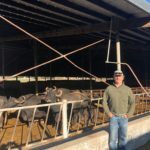 Azevedo, a native and lifelong resident of Sonoma County, has served on the Farm Bureau board of directors for the last 14 years. He held all of the offices on the board before being elected president by fellow directors. Other officers are Steve Dutton of Dutton Ranches in Sebastopol, first vice president; Jeff Carlton, vineyard supervisor at Dutton Ranches in Sebastopol, second vice president; and John Bidia, vineyard manager at Korbel in Guerneville, treasurer. Azevedo has deep roots in Sonoma County and is dedicated to preserving the county’s rich agriculture heritage for the generations to come. 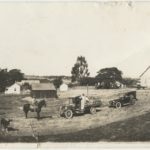 Azevedo’s family settled in the Olivet area of west Santa Rosa in the 1880’s, operating a dairy ranch on land that is now owned by the family of the late Art Lafranchi. The Azevedo family later moved north to Healdsburg to establish a dairy, which was operated until 1951. Today, Azevedo farms 13 acres of vineyards on a portion of the original ranch that has been owned by his family since 1904. He farms the land in partnership with his mother Patricia Azevedo. In addition to farming his own vineyard, Azevedo holds the position of grower relations for Jackson Family Wines. He works with growers in Sonoma County, the Central Coast and Oregon who sell grapes to Jackson Family Wines. Azevedo attended Healdsburg High School where he was an award-winning member of the Healdsburg FFA. He served as FFA Chapter president and was a regional FFA officer. He was on the parliamentary procedure team and the vine judging team, coached by agriculture instructor Rod Wallstrum. After high school, he continued his agricultural education at California State University, Fresno, where he majored in viticulture and worked in the university’s viticulture and enology department. He graduated from Fresno State in 2000 and began his career in Sonoma County’s viticulture industry. A recognized agriculture and community leader, Azevedo was selected for the California Agriculture Leadership Class 37 in 2007-2008. Through the program, he attended weekend sessions over a two-year period to broaden his knowledge of national and international issues, government, communications and public policy. The program included travel for an educational session in Washington DC and an international trip to China. 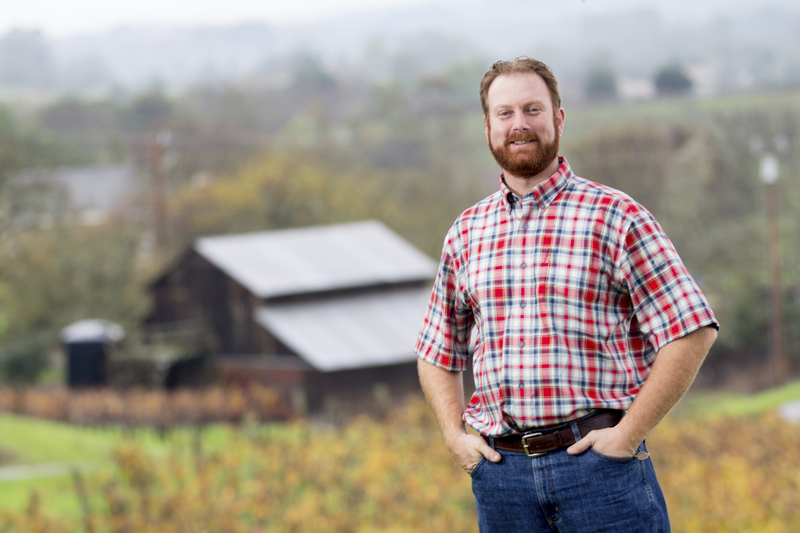 Azevedo has served on the boards of the Sonoma County Vineyard Technical Group, the Sonoma County Winegrape Commission and the Healdsburg Future Farmers Country Fair. As former chairman of Farm Bureau’s Natural Resources and Environment Committee, he also was involved in issues related to land use planning and farmland preservation and served on the stakeholders group to craft the Riparian Corridor Ordinance, approved in November by Sonoma County supervisors.